Crystalline Light is thrilled to offer Custom Energetic Mists for YOU! Is there a specific energy you want to bring into your life? An intention for something new? Or want Spirit to share what you might need right now? 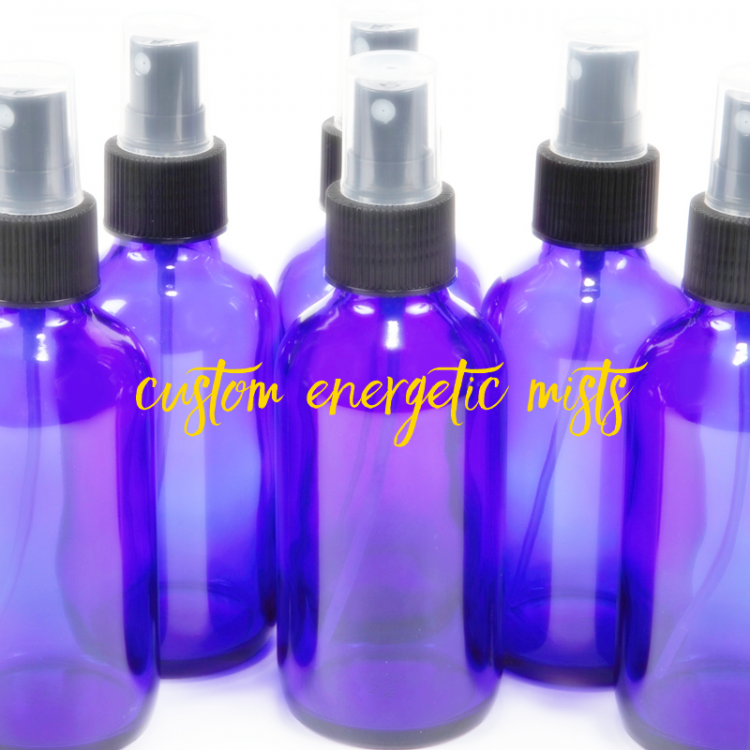 A Custom Energetic Mist is a lovingly created mist just for you. We'll connect about what you would like a mist to bring to your life, what your intention is, and what scents you gravitate towards and enjoy. I then tune in intuitively to choose specific flower and gem essences and essential oils with which to create your mist. Once a receive an order for a Custom Energetic Mist, I will email you with a form about what you are looking for in a mist and/or to connect about an Intuitive Crystal Reading. Each bottle is made individually and contains flower & gem essences, activated healing water, a small amount of vodka as preservative, pure organic essential oils, and lots of intent and love. They are co-created in a highly purified sacred space with deep intent and focus, infused with sacred geometric music and higher energies of pure Love. All Custom Energetic Mists come with instructions for use and a listing of what is included in your mist. Shake well before misting; store in a cool, dry, dark area.